In their Poland workshop, Terri was delighted to collaborate with artisans Weronika and Jacek to design this exclusive Polish pottery ''Secret Garden'' cow creamer. The traditional techniques of Polish pottery are combined with unique springtime motifs to create pieces exclusively for Uno Alla Volta. Each series of motifs is painstakingly hand-painted on using fine brushwork and custom carved stamps, once painted it is glazed and fired at high temperatures. The firing of this creamer preserves it for durability as it's oven, dishwasher and microwave safe, allowing for years of enjoyment! No two will be exactly alike and each piece is signed by the artisan. This creamer measures 3.5 inches by 3 inches and holds 4 ounces. 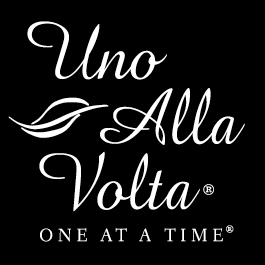 Handcrafted exclusively for Uno Alla Volta, from the heart and hands of the artisans.